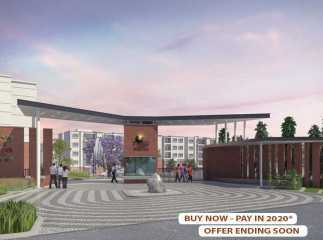 Yemalur is one of the prime real estate investment destinations in Bangalore. Property in Yemalur Bangalore has seen an increase in prices over the last few years. Prestige Kew Gardens is a prime project in the area which has 979 intricately carved homes. The apartments have a modern gymnasium, multi-purpose hall & mini theatre, library, yoga room, swimming pool, kids’ play area, as well as a separate pool for children. The area enjoys excellent connectivity with HAL Airport road & Outer Ring Road (ORR) and has a number of leading educational institutes, top health care facilities, shopping malls, and entertainment hubs in the nearby vicinity. There has been an increase in demand for 3BHK property in Yemalur Bangalore. The area is well-connected to metro rail and international airport which makes it a hot residential investment. Investing in residential apartments in Yemalur Bangalore is expected to give good returns.